Indeed, a Palace of Grandeur. It always feels good to be back in India and to focus on my next move, the expansion network of our schools. During this journey, there are plenty of distractions along the way, but there is one special place in Bangalore for me to debreeze and recharge. 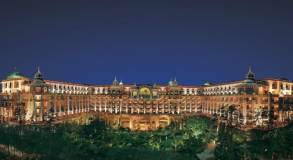 It’s the The Leela Palace, Bangalore, a truly luxurious place to set back, relax and recharge. Couple of years ago, I had the honor to meet the founder of The Leela Palace in Delhi. It’s Captain C P Krishnan Nair – a striving leader who had the right idea at the right time, an amazing personality and a determined gardener. In 1986 he was setting up the first luxury hotel next to the present Sahar International Airport, Mumbai. The Leela Palace in Bangalore is a getaway to a pristine location where quietness and calmness prevail within Indian nature. Carpets of grass, the musical chimes of waterfall and landscaped gardens are what attracts me. Away from the hustle and bustle of city life, the Leela Palace has carved out the mother nature in the best possible way. 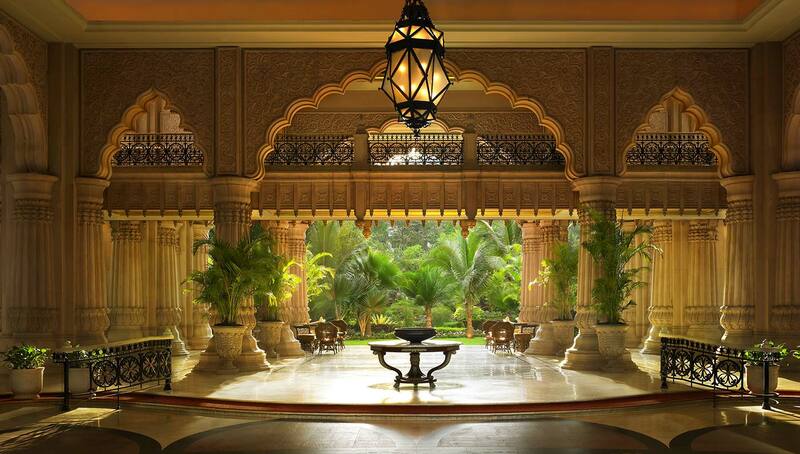 As you enter the doors of this hotel, it is more of a palace than a hotel. The property itself is swank, with a touch of an old world charm, which is unlike the many contemporary luxury business hotels in the segment – Glorious in looks, you are welcomed by hospitable staff that is quite prevalent to India. The hotel has series of classic restaurants which captures the spirit of the Indian royal cuisine of the Maharajahs (Emperors) while selected concept restaurants from around the world offer the best in contemporary gastronomy. During my breakfast at Citrus, when I ordered my salmon egg which is kind of challenging in other locations. I was surprised that they have been able to exactly deliver the way that I wanted it. I only found this equivalent service at the Fullerton Hotel, Singapore – till now. I also liked the library bar, which appears unique, with the antique furniture’s in a traditional colonial style. 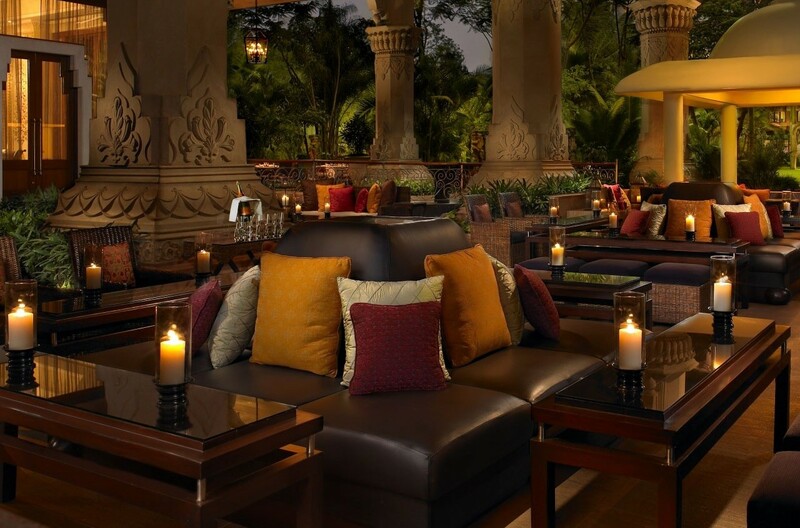 The extension area of the bar is a dreamy place to relax and unwind next to the massive pillars. Taking a look at the decor of the ‘Jamavar Restaurant’ , you’ll find glimpses of India all over. Gold, rich linen, Indian handicrafts, silver cutlery, ornate chandeliers; everything that you might have expected in the palace of Maharajahs is seen here. The Swimming Pool of the hotel is located outdoors; this is a sunny and spacious area for users to enjoy the blue water and their leisure time by the pool, and also its grassy areas for sunbathing. Thinking that you are in the heart of Bangalore which is the most sought out cosmopolitan city you just close your eyes and hear the sound of parrots and other rare birds – surprisingly no traffic noises and no honking! Its truly a paradise when you enter the pool area and to rewind behind the terrace restaurant in the beauty of nature. So I took a long dip in the pool and ordered an a “regular” club sandwich and started to journal my experience for the Connoisseur section of this blog. In comparison to any other cities, Bangalore is truly the most sought cosmopolitan city in India. A perfect ambience for every businessman with the world class living facilities, dependable infrastructure and excellent work of ambiance. Over all, The Leela Palace, Bangalore is exclusive luxury getaway with a timeless charm, a great sense of hospitality, delectably culinary options all of which are wrapped with excellent service.